The FM3 Buddha Machine is a low-fi loop playing device containing nine prerecorded loops which cannot be changed by the user. Due to manufacturing imperfections, individual machines play the loops with a slightly different sound, pitch and duration. The built-in playback circuit, with its low sampling rate and bit resolution, produces a very rough sound, similar to ancient computer games or talking toys. Rich, spacious textures and moving echoes occur when many of these machines are played at the same time. I recorded the sound of one single buddha machine at 96 kHz, using a state of the art A/D converter. The recording contains audio information up to 48 kHz, which makes it possible to transpose the loops down and expose otherwise inaudible hidden details. The pieces on this CD have been created by granulating, filtering, pitching and layering either the original loops, or new loops which were re-assembled out of parts of the originals. Most pieces are based on one single source loop. The pieces as they live within my computer are set up as continuously permutating structures and theoretically could go on forever, just as the loops do within the buddha machines. I made quite long renderings of these permutations and later decided which excerpt of each structure to put on this CD. Therefore, the tracks are not closed works, but views onto a perpetual machinery. The limited edition vinyl box closes the circle. After transforming the rough recordings of the original buddha machines into multi-layered deep spacious compositions full of detail the music is brought back to an outdated, inferior sounding media; the seven inch vinyl single. These singles encourage the listener to mix, filter and pitch the layers in order to create even more complex textures. The limited edition contains all ten album pieces in slightly modified versions on five grey vinyl sinlges with full color label prints, packed together in a full color cardbord box, numbered by hand from 001 to 500. 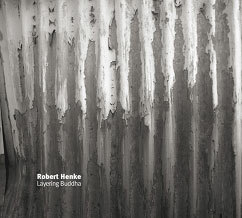 Layering Buddha was awarded an Honorary Mention in the Digital Musics category at the 2007 Prix Ars Electronica competition.